Thinking of Moscow makes you conjure up images in your head of fur coats, snow-covered roads, onion-domed cathedrals, and stunningly beautiful architecture. But more than being a winter-wonderland, Moscow happens to be a city of peaceful neighbourhoods, of a culture in love with arts and theatre, and undeniably, of strong economic presence in Europe. Moscow is the home of about 1.5 million expatriates. On the banks of the Moskva River, a 500-kilometre body of water coursing through the East European Plain in central Russia, lies the city of Moscow. Moscow's name is said to have been derived from this river, which literally means ‘the city by the Moskva River'. The highest point of the city is Teplostanskaya, a highland that stands at 255 meters (837 ft). Moscow is a thriving metropolis in Russia, the geography of which is largely defined by ‘Ring Roads' that circle the city centre. The very core of the city is where you'd find the famed Red Square and Kremlin. The city centre is surrounded by the Boulevard Ring which was built in the 1820s. The city has a humid continental climate, wherein summers are warm to humid, and winters tend to be long and cold. Warm periods start late in May and continue on until about September; the highest temperature does not exceed 30 °C. Snow covers Moscow's roads for about three to five months in an entire year, starting around November until mid-March. Temperatures on average can go as low as -10°C. 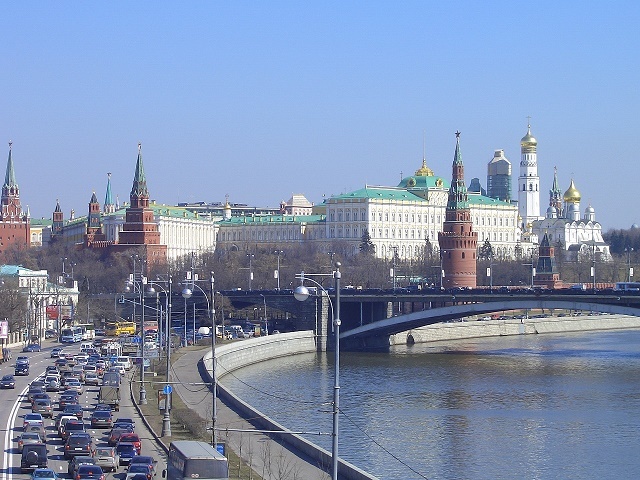 Russia's capital city also happens to be one of the largest urban areas in the world. It has a population of 10,535,100 inhabitants spread out over 994 kilometres of land. The city experienced a decline in population in the 1990s due to some economic reforms and has only recently experienced a gradual increase. Aside from the improving birth rate, the population increase is mostly attributed to migration. Because of its economic potential, Moscow draws in a steady flow of migrants from other regions in Russia. The largest number influx of migrants came from the former USSR states of Ukraine, Moldova, Armenia and Uzbekistan. The city actually targets a larger portion of migrants to increase its workforce to aid its social and economic development. Moscow happens to contribute about 20% of the Russian GDP, reaching a city GDP of about 340 billion USD. The city's Cherkizovskiy marketplace alone, the largest in Europe, already has daily earnings of about 30 million dollars. The marketplace is a place of business for about ten thousand sellers from different countries all over the world like China, India, and Turkey. More than being a centre of trade, Moscow is also Russia's largest and most important industrial hub. Some of the city's primary industries are related to the manufacture of transportation equipment, chemicals, building materials, textiles, and clothing. Also a significant contributor to the field of science and technology, Moscow is home to a number of scientific research and education institutions, the likes of which include the Krunichev State Research and Production Space Center which produces various space equipment and modules. Moscow's climate mostly ranges from cool, cold, to harshly cold. Even if you would be going during the summer months, it would be best to have at the very least a light jacket to layer with. Clothes with thicker fabric, like wool or cashmere, are highly recommended. So are sturdy, waterproof, snow boots. Anything to keep you warm is a must-bring to Moscow. Snow can be fun, but not too much when it starts to thaw and make the roads slippery, and your clothes dirty. It would be best to wear clothes in darker colours. The cost of living in Moscow is generally higher than the rest of Europe, and that includes the cost of meds. It is advisable that you stock up on medicines that you normally take before you move to Moscow, as things can get a little pricey in this city. Basking in the sunshine can be wondrous, but there's something magical with Moscow's cold snowy nights and cool summer mornings that any expatriate would find magical. That plus the city's inner beauty makes for that distinct Muscovite charm. Ever since Russia tore down its iron curtain in 1991, Moscow has become one of the most sought-after expats destination in northern Eurasia. Employment is the top reason why this city is continuously attracting professionals from different parts of the globe. You will find prosperous job opportunities in the service and manufacturing sectors as well as in education where language teachers are currently in demand. Aside from its significant role as the country’s largest business district, Moscow is also the perfect place for you to experience the rich local culture and traditions. We have here some guidelines that can help you start a new adventure in the heart of ‘Mother Russia’. It is best that you study Russian and learn how to read Cyrillic before relocating to avoid experiencing limitations because of the language barrier. You also need to do some research about the neighbourhoods and the housing market to gain some idea of what to anticipate when you arrive. If you are not fluent in speaking the local language, it's best that you contact a real estate agent to assist you to find accommodation in Moscow. A broker will help you communicate with the landlords and make your search faster with their extensive options in the market. If not included in the rental payments, the average monthly cost of your utilities such as water, gas, electricity and garbage collection is €90. Another service like an Internet connection is around €5, and local mobile prepaid calls are billed at €0.05 per minute. Villas, houses and apartments are the most common types of accommodations in Moscow. What you should consider when choosing a new home is its proximity to your work, your children’s school and other amenities. Traffic jam is one of the major issues in the city that’s why most expats choose to live where they can be near to the business hub and commercial market. Rental prices get more expensive as you move closer to the city centre so you need to be well prepared financially especially that the landlords will require an equivalent of a month’s rent as security deposit. You can find a beautiful one bedroom apartment in the metropolitan for around €750 per month and a three bedroom unit for roughly €1500 monthly. There is also available accommodation in neighbouring districts where the price of a one bedroom flat starts at €450 per month and €800 for a three bedroom unit. International schools are the top choices of expat parents in Moscow since these institutions are using English and bilingual in teaching. The Anglo-American School of Moscow is a good choice since it is following the International Baccalaureate Program (IB) in their curriculum. Public and state education has experienced a drawback since the collapse of the Soviet Union that’s why the government is putting enormous effort in reconstructing its educational system. One of the best local schools in the city is the Moscow State University, which was founded in 1755. Apartments in Moscow come furnished, semi-furnished and unfurnished. If you are going to move to an empty one and need to import furniture, some of your appliances and belongings, it's best to contact international shipping and removal companies to assist you in the moving process. They have a door to door service where their team will facilitate the delivery until you receive the packages to your new address. Moscow is a landlocked city so containers will first arrive at the Port of St. Petersburg within 11-16 days, depending on your originating country. Click here to learn about the city’s import regulations. There is no quarantine period for animals entering Moscow, but you need to secure an import authorization from the Veterinary Department of the Ministry of Agriculture if you are planning to bring your pet. You also need to present its Certificate of Vaccination (including rabies) issued at least a month before arrival and the Health Certificate signed by a licensed veterinarian ten days before import. Moscow can be a quite expensive place to live in, but as soon as you go through the adjustment period, you will eventually learn how to jive with the city and live a quality life. This place is full of accommodating Muscovites that will welcome you as you become a part of their colourful multi-cultural community. There is more to unravel in Moscow aside from its fairy-tale like architecture. The most populous and capital city of Russia also has the status of a federal city. Simply looking at the map would tell us that Moscow is among the world’s largest cities and is the largest for the European continent. Moscow is the beating heart of Mother Russia that possesses an immense economic and political power. 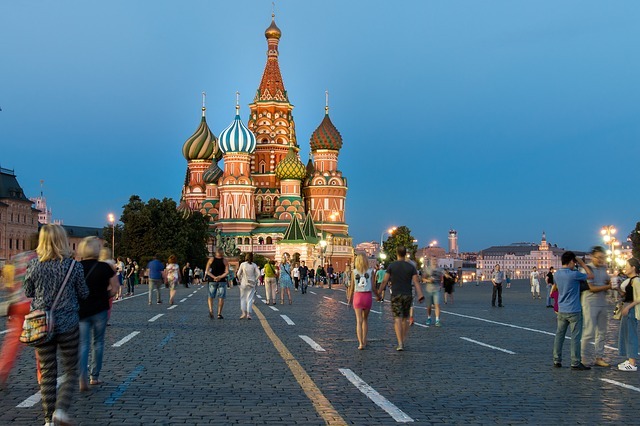 Decades have passed and what once was the centre of Communism is now a vibrant international metropolis and the most sought-after expat destination Russia. Though Moscow has always been an eye-candy to the rest of the world because it houses 60 Billionaires with a combined net worth of USD 217.6 billion, expats will soon see that there are also lots of locals who struggle in life due to the city’s high cost of living. Expats looking for a lavish lifestyle are in for a treat at the major economic, political, scientific and cultural centre of Russia. 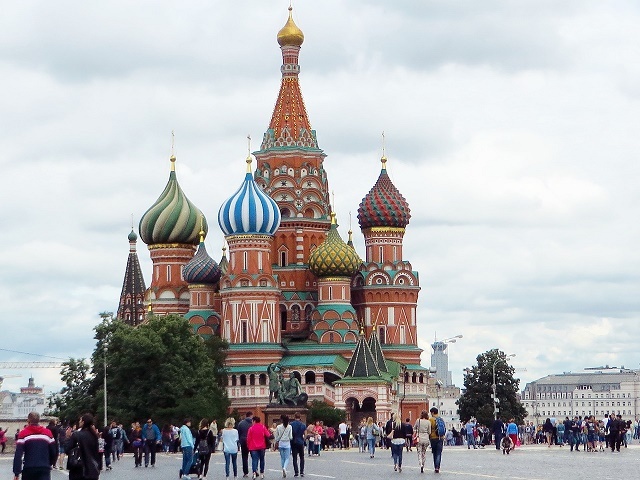 Moscow is the scientific centre of the Russian Federation which is why it is expected that most of the places to take expat kids here are related to science and technology such as the Experimentanium, InnoPark and Eureka Park. Expat kids are encouraged to voyage into space at the Space Museum, Planetarium and at Mars-Terraforming. Daughters of expats would also have fun being treated like a princess in the wonderful Buratino-Pinocchio Museum. Banya is the Russian version of sauna or bathhouse. Unlike other saunas, Banya buildings are large and usually have at least three rooms and several steam and washing rooms. Russia has two types of Banyas: the ‘white-way’ where exhaust pipes are used to vent the smoke and the ‘black-way’ where the smoke escapes through a hole in the roof. The Banyan is a tradition in Russia that originated during the medieval times and has been a staple of local health and culture. Moscow has several Banyas where expats can experience hot steam bath and birch tree whipping. With an estimated population of 12.9 million, it is expected to encounter occasional traffic jams and congestion in the city. In contrast to that, expats won’t find it stressful to drive around Moscow as it is one of the most beautiful metropolitan area in the world. The option of owning a car and driving around the city must be well thought by an expat before deciding. They must be aware that Moscow roads are far more difficult than in any part of the world. Russians drivers also have the tendency to come up with mysterious strategies when driving and the police have a record of extracting money in exchange to driving offences. Finding a bank to suit your needs is easy in Moscow as most of the major local and international banks are located here. It is most likely that foreigners with maintaining bank accounts in their home country are to find its branch in the city. Conversing with bank staff would not be a problem as may speak English but are more fluent in Russian. International banks found in Moscow are BNP Paribas, HSBC Bank, Deutsche Bank, Citibank, Bank of Moscow and ING Bank Moscow. What’s your name? - Kak vas zovut? My name is.. - Menja zovut..
Good Morning - Dobroe utro! Good Evening - Dobryj večer! Overcoming culture shock in a city as big as Moscow would be tough, but with the help of fellow expatriates, everything should go well.